Guinea Fowl Polished Jasper with black and white speckled markings and patterns that resemble the feathers of the indigenous Guinea Fowl from Congo, Africa. Guinea Fowl are known to be sociable, curious, ground nesting birds that live in small groups. 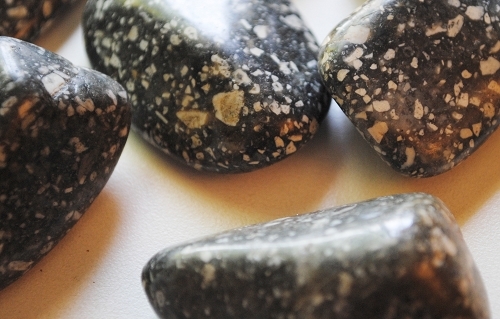 Guinea Fowl Jasper reminds us to bring joy, assistance and substance to others. 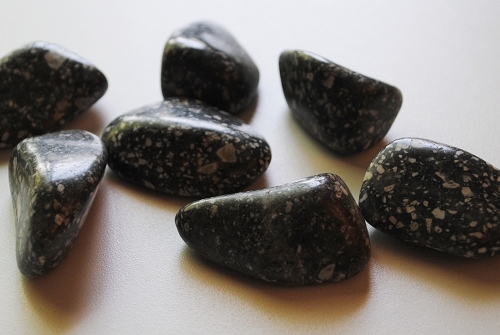 Guinea Fowl Jasper protects against negativity and helps one to be grounded to the stabilizing energies of the Earth. 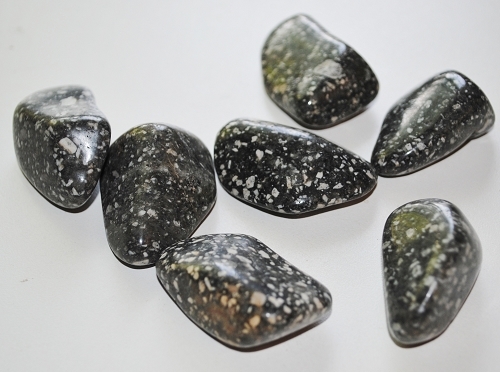 Guinea Fowl Jasper imparts determination to all pursuits and brings courage to face challenges and potential obstacles. Guinea fowls are quick, agile runners and use this method, rather than flying, to escape predators. 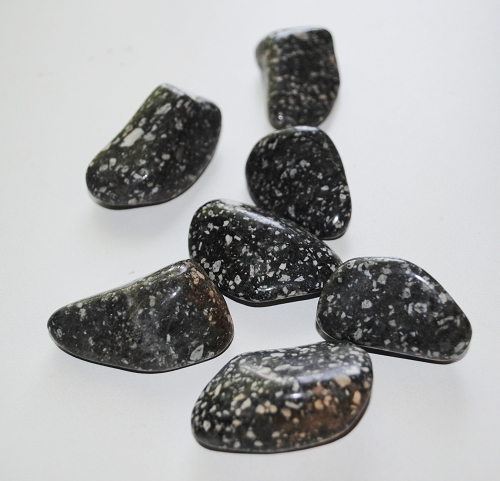 Guinea Fowl Jasper is a stone which accepts the intense responsibility associated with protection. Guinea Fowl can be very territorial are quick to sound an alert when an unfamiliar or unwelcome person or animal has shown up. Guinea Fowl are often used as watch dogs on farms.